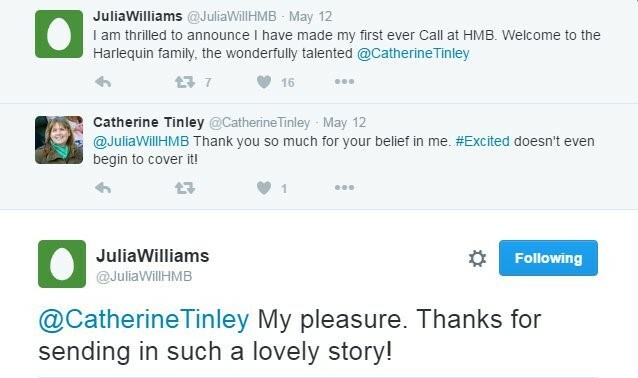 Our newest Harlequin Historical author, Catherine Tinley, shares her excitement over getting The Call! One of the biggest moments in the life of a writer is getting The Call. No, not “Calling” (though writing is, in a way, a vocation). No, this is an actual telephone call, from a real editor, saying they want to publish your work. It happened to me a week ago. That changed in 2014. I completed a full-length novel – a “sweet” Regency romance which flowed, and grew, and took on a momentum of its own. I knew it felt right. After revising and editing, I posted some of it on a writers’ website, where I got encouragement (and a few corrections) from other writers. It’s hard to tell yourself not to be too hopeful when you’re flooded with hope. I sent the full manuscript, and crossed my fingers. In the end, time helped. It was many months before I heard back. 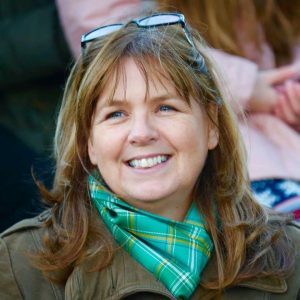 A phone call from the lovely Julia Williams, saying they were still interested, and would I be open to making some revisions? Well! There were shrieks, lots of “Oh my goodness!” and quite a bit of babbling gibberish. I could hear Julia chuckling on the other end of the phone. My daughter and husband came running to hear, and exclaim, and hug. Eventually I calmed down enough to listen to some of the details. Luckily, Julia sent them in an email immediately afterwards. Getting the Call: Meet new Harlequin Superromance author Heatherly Bell! Congrats, Catherine! I’m just getting around to reading more Historicals. Thanks Marna! It’s due out at the end of February – I hope you enjoy it!